This study will generate comparative data for 0.5-mg ranibizumab using pro re nata dosing administered with or without adjunctive laser treatment versus laser photocoagulation (the current standard of care) up to Month 6 and will provide efficacy and safety data for 0.5-mg ranibizumab using pro re nata dosing, administered with or without adjunctive laser treatment, over 24 months in patients with visual impairment due to macular edema (ME) secondary to BRVO. 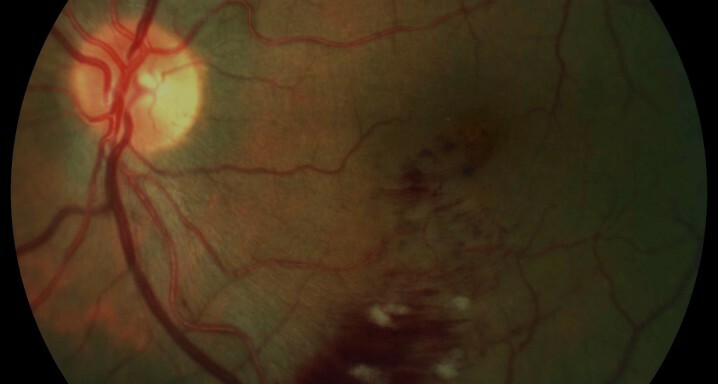 Spectral domain high-definition optical coherence tomography (OCT) images will be explored to gain insights into predictive factors for disease progression and the possibility of reduced monitoring will be assessed in Year 2. The results of this open-label study will provide long-term safety and efficacy data to further guide recommendations on the use of ranibizumab for this indication. The primary objective is to evaluate the efficacy of an individualized stabilization criteria-driven pro re nata dosing regimen with 0.5 mg ranibizumab as assessed by the mean best-corrected visual acuity (BCVA) change at Month 12 compared to Baseline.